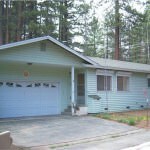 1067 Glen Rd South Lake Tahoe CA offered at $235,000Back on the market due to buyers primary home not selling. This is a low maintence, well cared for home in an excellent location. Close to Heavenly, Lake Tahoe & the Casinos. Great for a primary, second home or a vacation rental. Inspection reports are available. Kitchen is spacious and has a bar. It is open to the living room creating an excellent space for gatherings. ...Continue Reading! 1032 Ham Ln South Lake Tahoe CA offered at $159,000Adorable mountain cabin has been updated with new double pane vinyl windows, new gas fireplace insert, insulation and shertrack downstairs, new copper plumbing with electric heat to prevent freezing in the winter, and a new roof which was installed over pre-existing roof. The appliances are newer as well. Located in the heart of town but feels like a world away. 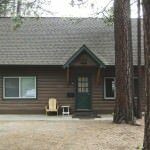 Short and easy walk to the lake, beach,...Continue Reading!